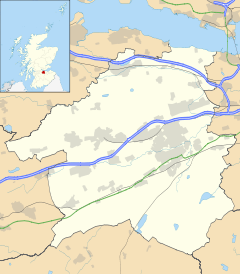 Blackburn (Scots Gaelic: An Dubh Allt) is a toun in Wast Lowden, Scotland local tae baith Bathket an Leivinstoun, twa o the lairger touns in the coonty. ↑ "Comparative Population Profile: Blackburn Locality". Scotland's Census Results Online. 2001-04-29. Retrieved 2008-08-31. This page wis last eeditit on 19 Juin 2017, at 22:21.